I've watched the Google search results for Calgary recording studios sky-rocket over the last 10 years. At first there were only a small selection of recording studios in Calgary that appeared online. In fact, when I was doing my first crack at recording my own clients, I was the number one search result for recording studios in Calgary. This would have been around 2008/2009/2010. Then I took it all down and disappeared. Since then, it seems you could flip through 10 pages of Calgary recording studios on Google. How does a band determine what Calgary recording studio is the best for them? What recording studio really is the best in Calgary? This post will try to answer these questions. I wanted to determine the best Calgary recording studios as well as provide a little extra insight for bands out there who are getting ready to record. I have not, and will not be paid in exchange to feature a recording studio in this list. However, I may speak or work with the owners or staff on occasion at any recording studio in Calgary and modify this list over time. Also, this list was created from the perspective of a band or musician looking to record their music. This list would be very different if the focus was on commercial audio projects - which I will probably write a separate post for. as well as a sound stage for recording "live off the floor". There is a certain convenience factor and niche market they are able to cater to. Imagine having a great rehearsal space and being able to record your sessions live off the floor. They appear to have fairly reasonable rates in addition to a solid 4.7/5 stars on the 25 Google reviews they have. Powerhouse Studios is a similar concept to that of Slaughterhouse, however there is a little more of an emphasis on the recording. They have two rooms that are used as rehearsal spaces during their most in demand times. 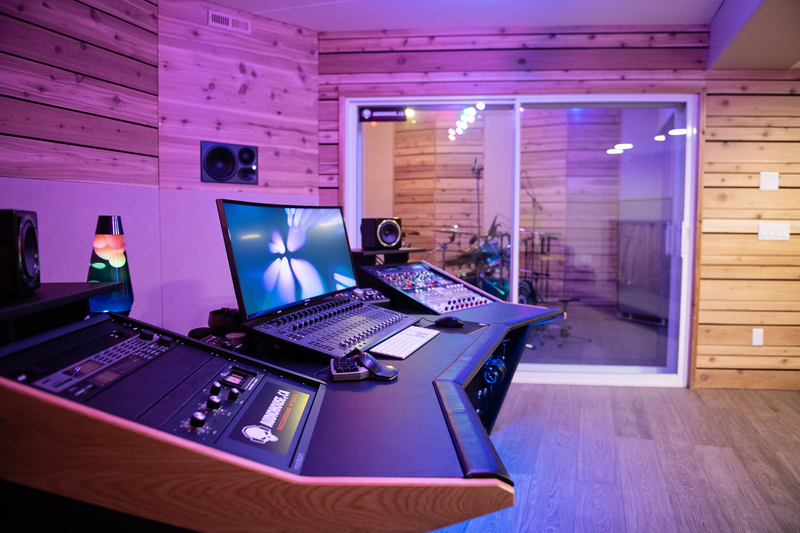 They have one room complete with ProTools and a C|24 control surface for recording projects, while the second room has a 16 channel PA system. Rehearsal rates are charged by the person in 3.5 hour blocks while recording rates require you to contact them. I included Powerhouse Studios because they have that "all-in-one" factor much like Slaughterhouse. 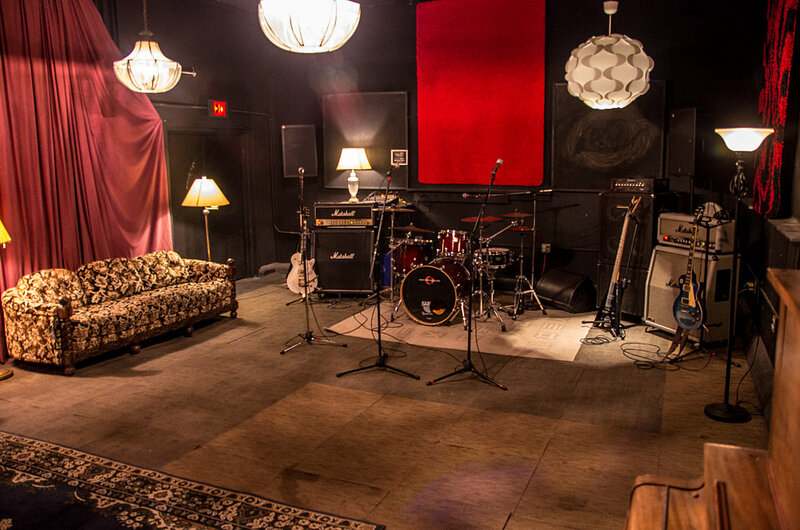 This can be a very enticing environment for a band looking to rehearse and record live off the floor. I would certainly look into Powerhouse Studios as they have a solid 4.9/5 stars on the 15 Google reviews they have. Personally, I have never worked with MCC recording studio. However, I have been aware of its reputation - which is pretty solid. As of the writing of this article I am not sure what the rates are, but they boast about competitive, if not better rates than equally equipped recording studios. Frankly, last I recall the rates actually were quite good, but this was some years ago. With 4.9/5 stars from 12 reviews on Google, I would definitely consider MCC recording studio. Audiohouse Recording Studio came out of the ruins of the Outhouse recording studio. Devastated by the Calgary floods of 2013, its owner Grant Howarth, persevered through the devastation to rebuild a highly professional home recording studio. As a result, he has been able to continue building his excellent reputation and delivering results that speak for themselves. Grant is a former instructor at APRA, and he was one of my instructors back when I went to APRA. Though I have never worked with him, I know bands who have recorded with him, and I have heard his work. When my band gets to the point where we want to record outside of my basement, the Audiohouse (along with the next two studios) would be right near the top of my list. As far as bang for your buck is concerned, I would say the Audiohouse is likely the best in the city. Reasonable rates ($60/hr) and you get a seasoned professional at the helm. Frankly, from the perspective of a local band looking to finance your own record - I would say Audiohouse is #1 for value. Oh, and the Audiohouse has an impressive 5/5 stars out of 21 Google reviews. One of only two perfect scores on this list. and a large all purpose room for photo and video shoots. The Beach Studios is owned by industry veteran, Lanny Williamson and is home to the Academy of Production & Recording Arts - of which I am an alumni. He has a close but small team of people to run the studio with him. 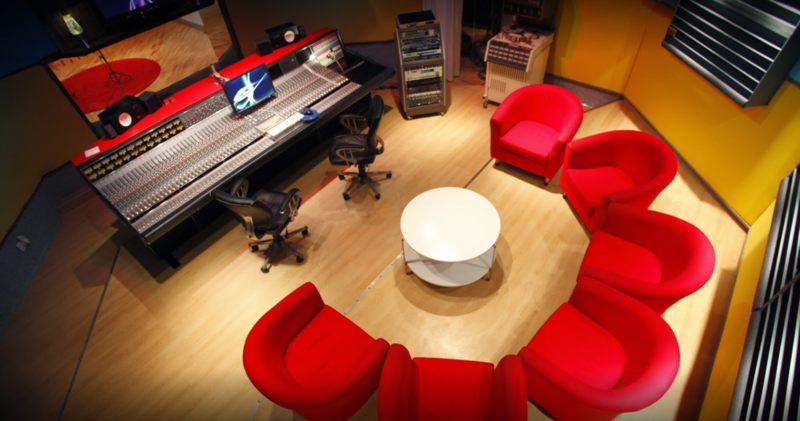 This studio is designed to handle virtually any audio project that is thrown its way - music or commercial. Naturally, they have an impressive 4.9/5 stars out of 15 reviews on Google. Finally, the second commercial recording studio on the list. This truly is the musician's recording studio. Everything about this studio was built with musicians in mind. Built on an acreage east of Chestermere just outside of Calgary, OCL Studios is a gorgeous commercial studio with music being its main focus. 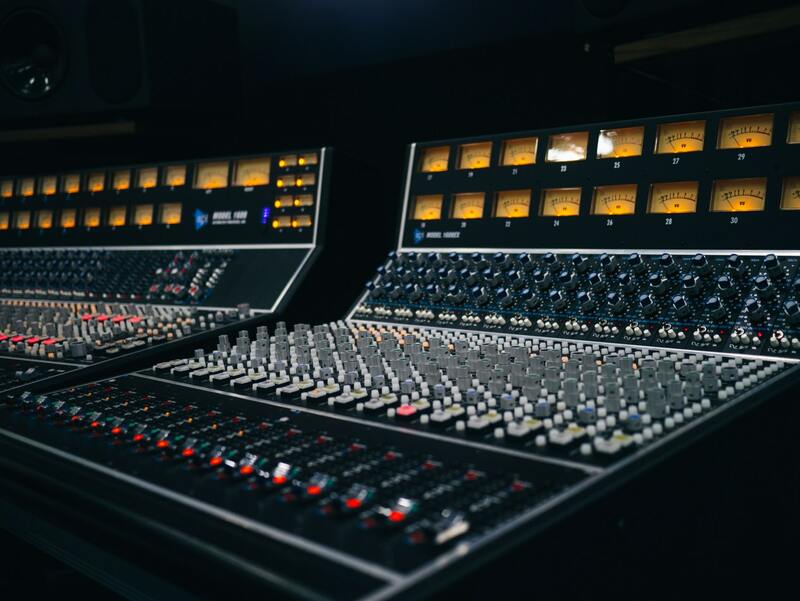 They boast on-site accommodations, the only Neve console in Calgary, and a highly experienced team of professionals. 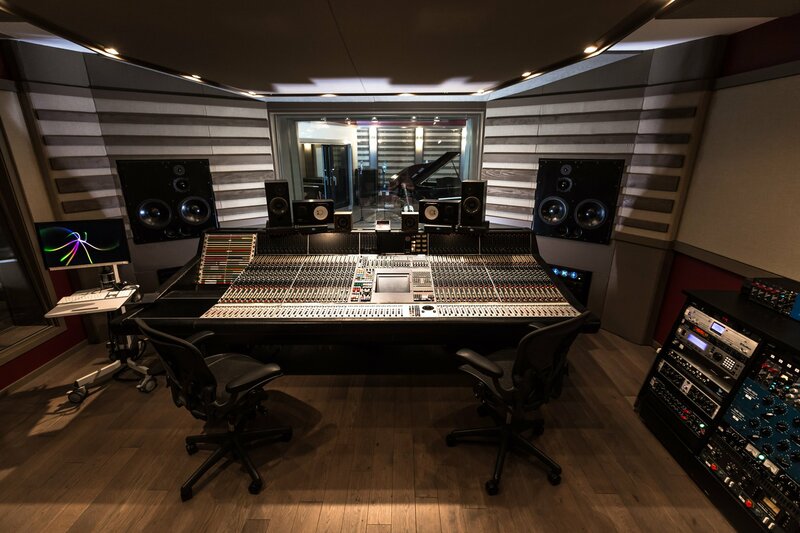 Facilities include two studios, and a concert/rehearsal hall that is wired up to the main studio's Neve console. I had the honor of checking out OCL a couple years ago and I have to say it is stunning. At this time I don't know what the rates are but they all include accommodations if required. Yes, you will pay commercial rates, but if I recall correctly they were still quite reasonable... again considering this is a major commercial recording studio. You can tell musicians love this place. They are only the second studio on this list to have a 5/5 star rating out of 26 reviews on Google. Of course there are many Calgary recording studios to choose from, and this is by no means a comprehensive list. However, there are some that stand out. In my mind the recording studios in this list stand out above most. The two most common things bands look for when searching for a studio are quality, and value. If you have a larger budget, then working with The Beach or OCL studios would be your best option. If you are on a tighter budget, looking at Audiohouse or MCC would be your best bet. OCL, The Beach, Audiohouse, & MCC all know what they are doing. They have the experience, the credentials, and the results to back it up. Lastly, if you are REALLY, on a budget - then you can always reach out to me. I might be a better fit for your budget. Yes, that was a shameless plug. Is there another Calgary Recording studio that isn't on this list that should be? Or perhaps you disagree with the order? Let me know in the comments below.